Following the successful first edition ARC Channel Islands last summer, World Cruising Club are pleased to announce that entries are now open for ARC Channel Islands 2017. The first edition of the rally, run in association with RYA Active Marina and Practical Boat Owner, definitely got the "thumbs-up" from previous participants for its unique mix of preparation advice and support from a lead boat, combined with a cruise-in-company and social activities ashore. "The rally was brilliant! It was a chance to test ourselves in a safe and social environment." 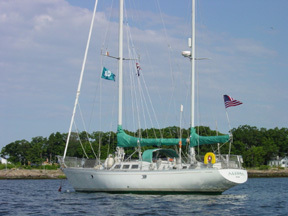 said Liz and Keith Hedges who sailed on Amy Clair. 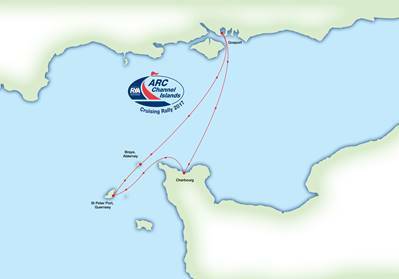 The aim of ARC Channel Islands is to give cruisers the impetus and encouragement to extend their cruising horizons, whether as a first offshore voyage; perhaps a first time double-handed cruising; or sailing with young children, or experiencing crossing the Channel at night. 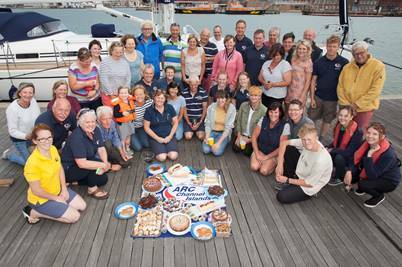 Haslar Marina in Gosport will host the start of ARC Channel Islands 2017 with a social programme as well as boat safety checks, passage planning guidance and a Skippers Briefing. Throughout the route there is the familiar mix of social sailing, get-togethers ashore and the reassurance that the lead boat is there to guide and assist. On board, the team including a senior instructor from Hamble School of Yachting are there to help, encourage and check plans, as much or as little as crews want. "The benefits we derived from taking part in the rally were enormous." said Stephen Richardson, of Hallberg Rassy 312 Midnight Wanderer who sailed with the first edition of the rally in 2016. "Passage planning and navigation skills were enhanced, and there was a sense of achievement in ticking off the marks as we went down Little Russel, and succeeding in picking out the lights as we approached Portsmouth on return. The daily briefings from the lead boat were not directional, but helpful nonetheless, and the YB Tracking unit allowed us to keep track of all the boats in the fleet." The rally office will open on Thursday, 10 August 2017, before the fleet slip their lines (weather permitting) on Saturday 12 August from Haslar Marina in Gosport. 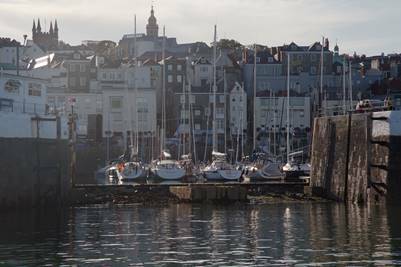 Framed with the offshore cross-Channel legs, the route explores some of the highlights of Cherbourg, Guernsey and Alderney, with the opportunity to change crew along the way. The rally ends back in Gosport following a night sail on Sunday 20 August. Due to space restrictions, ARC Channel Islands is limited to 30 boats and places will be allocated on a 'first come, first served basis'. It is anticipated that the rally to be popular and encourage those interested to enter early to secure their place.